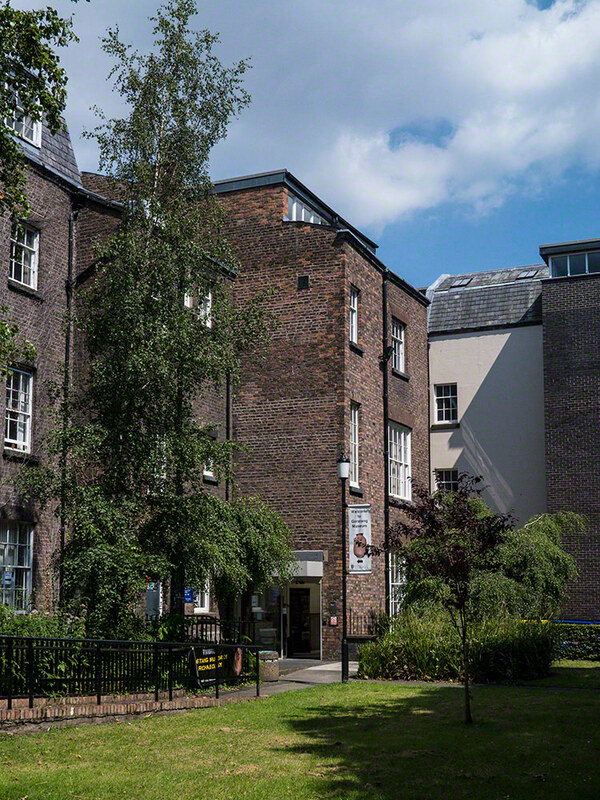 Over the past couple of years, the Garstang Museum of Archaeology at the University of Liverpool has been going through a major redevelopment, including a move from its place on the first floor of 14 Abercromby Square, to the ground floor, where the old archaeology library used to be. 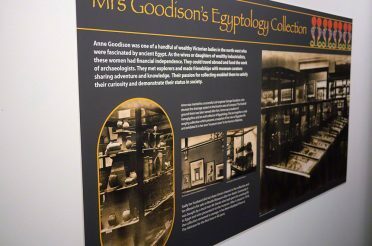 The museum is named after John Garstang, an archaeologist working in the first decades of the 20th century, particularly in Egypt and Near East. 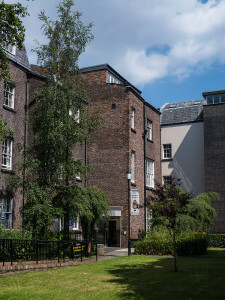 He set up the Institute of Archaeology in Liverpool in 1904, and the archaeology departmental museum was named after him on the centenary of the establishment of his institute, in 2004. Thursday 17 July 2014 was its official reopening; as an ex-student of the department, I couldn’t possibly miss out. The first face I saw when I walked through the door was that of my old Masters buddy, Gina Laycock, who, as curator, has played a large part in the redesign of the museum. After losing about 20 minutes catching up with Gina and my ex-lecturer Steven Snape (who is also Keeper of the museum), I went for an explore. And boy, was I impressed! When I went into the first room, I was hit by how bright and fresh the gallery felt. 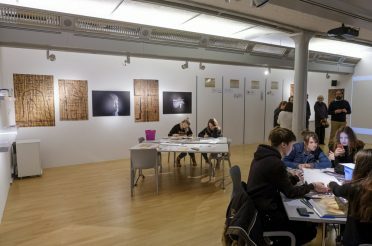 Modern, clean lighting with beautifully designed information panels and photos on the walls, including a reproduction of John Garstang’s signature right at the entrance. 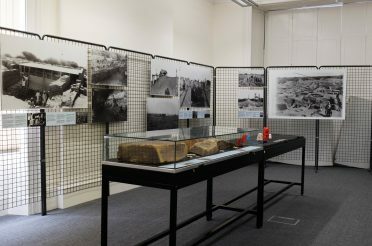 You see several themed display cases, including one full of memorabilia from Garstang’s digs and working history (see below). 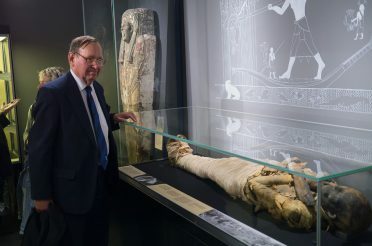 There are some wonderful reproductions of tomb scenes and artefacts on the walls, and every display case is accompanied by a information panel, replete with clear and concise information about the theme of the contents. Moving on to the left of the first gallery, is a small room with some freestanding pieces, including an unusual double-sided stela and and a granite head of an unprovenanced (though probably 18th Dynasty) pharaoh. I really liked the stand it’s been displayed on, which has allowed visitors to see both sides of the stela for the first time. The small room off to the left of the last gallery was centred around the theme of death and the afterlife. It’s a darker room, with grey walls and lower lighting, giving it a wonderful tomb-like feeling. You’re met by the coffin of Userhat as the central piece of the room, with a stunning wall panel containing a reproduction of a tomb scene behind it. 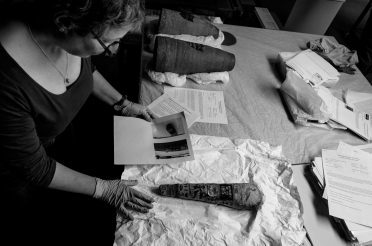 The cases contain a fine assortment of artefacts, such as amulets, soul houses, statuettes and stelae. I was particularly struck by the funerary papyri with a page of the Amduat, and a cat mummy wrapped and put in a child’s coffin. 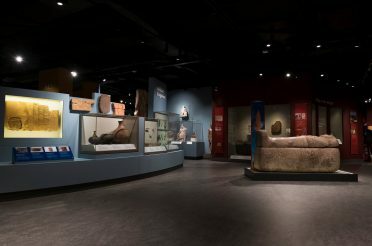 This is one of the larger galleries, and focusses on aspects of life in ancient Egypt such as trade, diplomacy, temple functions and writing. 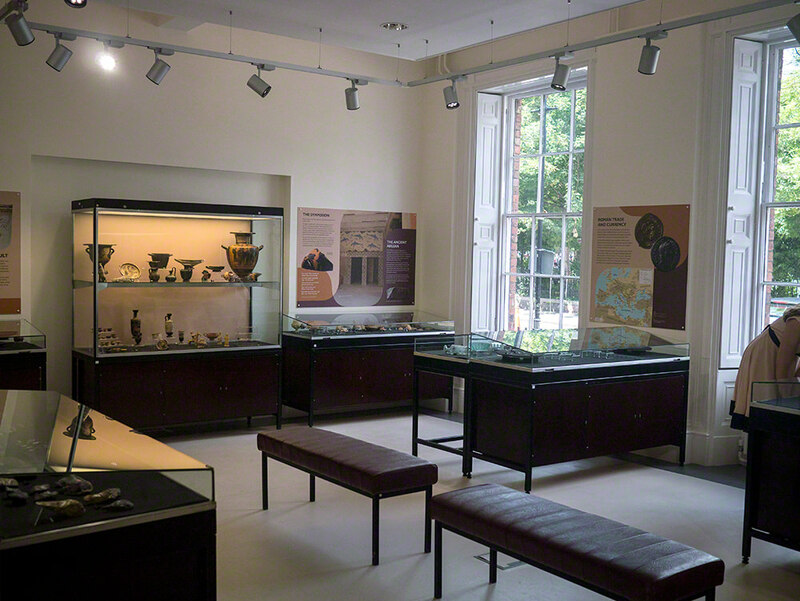 There are also cases themed around Nubia, post-Pharaonic Egypt and a central display about the Predynastic period. Unfortunately, I was on a time limit, and I’d got a bit too caught up gabbing with Gina and another of my ex-lecturers Roland Enmarch. Having run out of time, I had to dash, and didn’t get to see the last room, which was displaying objects from the Near East and Rome. This does mean, of course, that I’m going to have to come back again (hooray!). 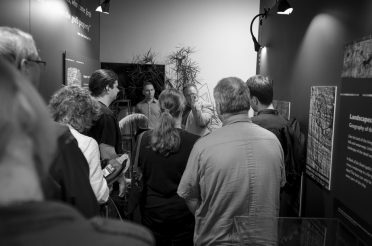 When I heard that the archaeology library had been moved and absorbed into the large Sydney Jones library, and that the archaeology museum was moving into the space, I felt a little sad. I’d loved the archaeology library; it was one of my favourite places to go on campus. 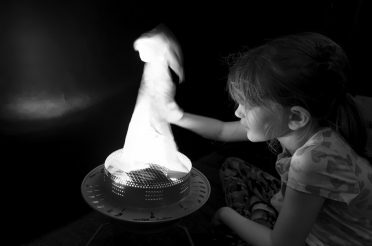 However, when I saw what had been achieved, I couldn’t be anything but hugely impressed. Such a lot of thought and hard work has obviously gone into the new museum. And several familiar faces made my visit all the better. I think the rooms will continue to be my favourite place on campus. If you like what you’ve seen here, please do consider supporting the Garstang by visiting. At the moment, it’s open on Wednesdays only, but they hope to be able extend these hours in due course. Please do stop in, if you can; it’s well worth a visit. I know I’ll be back in again soon.